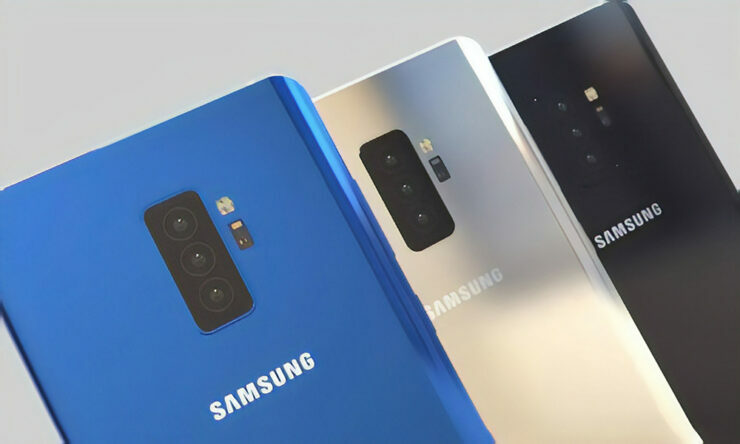 Samsung has never used a triple-camera lens on the rear side of any smartphone, but that could change with the release of the Galaxy S10 Plus, which is rumoured to feature three lenses at the back and two at the front. Starting from next year, the upcoming Galaxy A 2019 series might also feature a triple-lens setup at the back, giving more options to consumers who cannot splurge a small fortune on the upcoming Galaxy S10 Plus. The latest report from The Investor details hardware improvements coming with the arrival of the Galaxy A 2019 series. Samsung upped the aesthetics and features game with the launch of the Galaxy A8 and Galaxy A8 Plus, giving them slimmer bezels, upgraded camera specifications and other improvements. As per the latest reports, the Galaxy A 2019 series will feature a cheaper optical display-based fingerprint reader. This is going to be much different than the ultrasonic in-display fingerprint reader that is expected to come with the Galaxy S10 and its other variants. One of the camera lenses is going to be touting a super-wide angle field of view, much like what LG does its flagships. We’re not sure if the Galaxy A 2019 series will be rocking a telephoto lens or the ability to snap images with 3x optical zoom but we will have to find out when more reports, leaks and rumours come through. Samsung incorporates its own Exynos chipsets in the Galaxy A series so it does not look like things are going to be any different here. Obviously, the less expensive lineup will not be able to produce better image and video quality but we can suspect that they will start providing 4K video recording support at 30 frames per second. Other details will be provided here as soon as we come across them. Do you believe Samsung is on the right path to make sure that less expensive smartphones are given the same treatment as flagship handsets of the future? Tell us down in the comments.